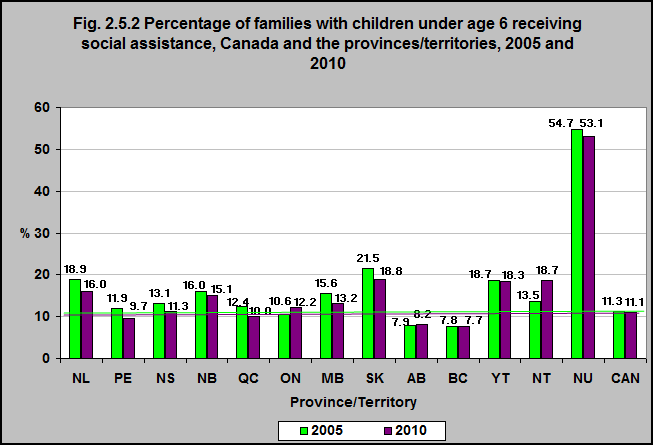 In both 2005 and 2010 the highest rates were in Nunavut and there was little change. This was followed by Saskatchewan – where the rate was 21.5% in 2005 and fell to 18.8% in 2010. The lowest rates were in Alberta and British Columbia – which was the case for both 2005 and 2010.